Alice called me last night. She's fine. We talked for a while, then it got kinda late so we had to stop. She'll be coming back to school in a couple of days. 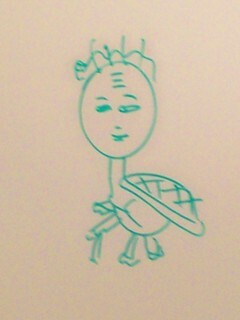 Someone drew this in French on one of the whiteboards.